WHAT A STUNNING PEACE OF KIT THIS IS!! 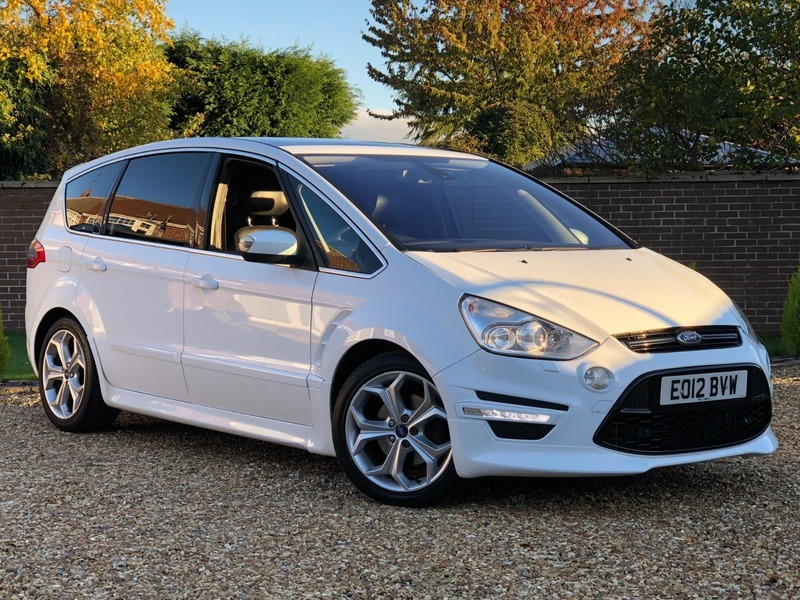 ** HERE AT HARIS AUTOMOTIVE WE ARE PLEASED TO OFFER THIS FANTASTIC 7 SEATER 2.2TDCI 200 BHP 'TITANIUM X SPORT' PRESENTED IN A VERY SOUGHT AFTER FROZEN WHITE WITH PART LEATHER & ALCANTARA SPORT SEATS WITH COMPLIMENTING RED STITCHING + SPORTS BODY KIT + PANORAMIC GLASS SUNROOF + XENON HEADLIGHTS WITH DRL DAYTIME RUNNING LEDs + 18" ALLOY WHEELS + 6 SPEED MANUAL + KEYLESS STOP/START + FRONT AND REAR PARKING SENSORS + CRUISE CONTROL + REAR TWIN EXHAUST + PRIVACY GLASS WITH REAR PRIVACY BLINDS + REAR PICNIC TRAYS + SONY CD PLAYER + RADIO/DAB + LEATHER MULTI FUNCTIONAL STEERING WHEEL + DRIVER CENTRE LEATHER ARMREST + FRONT AND REAR ELECTRIC WINDOWS + ELECTRIC MIRRORS + ELECTRIC HEIGHT ADJUSTABLE DRIVERS SEAT + TRIP COMPUTER + DUAL DIGITAL CLIMATE CONTROL + AIR CONDITIONING + FOLDING REAR SEATS + FOG LIGHTS + 2 KEYS + LONG MOT + 7 SERVICES + LOOKS AND DRIVES SUPERB!! FANTASTIC FAMILY MPV WITH PRACTICALITY ASWEL AS AMAZING SPORTY LOOKS!! Authorised and Regulated by the Financial Conduct Authority (FRN709333). Finance Subject to status. Other offers may be available but cannot be used in conjunction with this offer. We work with a number of carefully selected credit providers who may be able to offer you finance for your purchase. HARIS AUTOMOTIVE LTD are a credit broker and not a lender. We are Authorised and Regulated by the Financial Conduct Authority. FCA No: 709333 Finance is Subject to status. Other offers may be available but cannot be used in conjunction with this offer. We work with a number of carefully selected credit providers who may be able to offer you finance for your purchase.